This came born from several experimental sessions at The Larchmont. 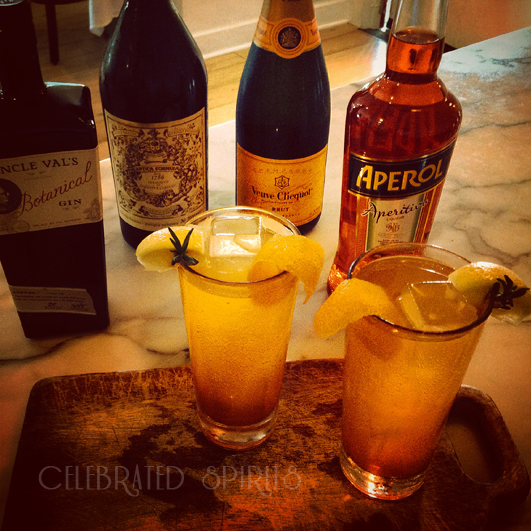 Dubbed “Count Negroni” and could also be called Uncle Val’s Negroni Aperol Spritz. Begin with champagne, Aperol, and a splash of fresh squeezed orange juice. Then comes the Negroni part of this cocktail, sweet Carpano Antica and soft lavender ridden botanical gin from Uncle Val. Truly a cocktail and a half.